The following quotes are among my research notes from my book The Soul of Psychosynthesis (KS). Please read the Article: Life as a Game and Stage Performance (Role Playing), by Roberto Assagioli, for a full presentation of subpersonalities. At first glance it might appear difficult to the therapist to introduce the concept of sub-personalities to the “innocent” patient. But practice has shown that the concept is easily accepted by him if presented in some way similar to the following: “Have you noticed that you behave differently in your office, at home, in social interplay, in solitude, at church, or as a member of a political party?” In that way he is easily brought to recognize the differences and even the contradictions in his behavior. There are the two classical types: the he-man in the office and the milquetoast man in his family life, and vice-versa. Thus he can be led to the conscious recognition that, as a son, he acts differently than as a husband, or as a father. Of course, it should be explained to him that these differences are normal, because each one of us has different selves—according to the relationships we have with other people, surroundings, groups, etc., and it is well for us not to identify ourselves with any of these “selves,” and to recognize that these are all roles that we play. And that although it seems paradoxical it is yet true that the less we are identified with a particular role the better we play it. It is good to emphasize this “playing of roles.” Actually the role is a point of arrival, not the starting point. The starting point is the complete immersion in each sub-personality, with degrees of awareness of the incongruity of the situation. The goal is the freed self, the I-consciousness, who can play consciously various roles. William James dealt with this concept of sub-personalities — which he called “the various selves.” The functions of an individual, in whom various psychological traits are not integrated, form what we consider to be sub-personalities. It is probably better to use the word “roles” instead of “functions,” to avoid semantic confusion. The patient should be asked to describe himself in his various roles: as a son or daughter, as a husband or wife, as father or mother, as having a professional role of some kind; and in these roles to examine his corresponding attitudes toward subordinates, towards superiors, and towards his peers. Other subpersonalities, or roles, are those played in the different social groups, including his religious group or church, his political group or party, and other roles which he may have or may want to play in life. The organization of the sub-personalities is very revealing and sometimes surprising, baffling or even frightening. One discovers how very different and often quite antagonistic traits are displayed in the different roles. These differences of traits which are organized around a role justify, in our opinion, the use of the word “sub-personality.” Ordinary people shift from one to the other without clear awareness, and only a thin thread of memory connects them; but for all practical purposes they are different beings—they act differently, they show very different traits. 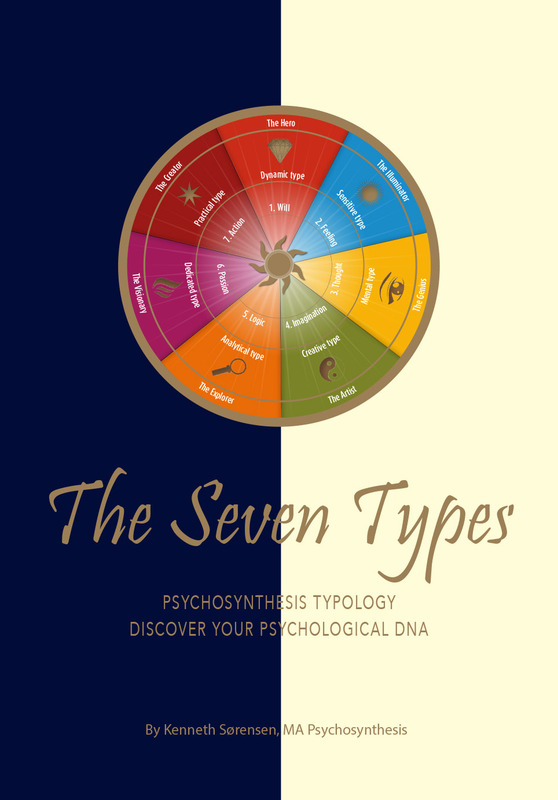 Therefore, one should become clearly aware of these sub-personalities because this evokes a measure of understanding of the meaning of psychosynthesis, and how it is possible to synthesize these sub-personalities into a larger organic whole without repressing any erf the useful traits. Another advantage is that revealing the different roles, traits, etc., emphasizes the reality of the observing self. During and after this assessment of the sub-personalities one realizes that the observing self is none of them, but something or somebody different from each. This is a very important realization and another of the keys for the desired and future psychosynthesis. This is similar to die distinction that Jung made between “ego” and “persona,” (only we speak of personae —the (dural—which is more realistic and nearer to facts) and what Paul Tournier in The Meaning of Persons called “I.e Personnage,” which would correspond to the series of roles, and “I.a Personne” which corresponds to the central inner Self . Charles Baudoin also makes this same distinction. A definite confirmation of the existence of sub-personalities is found in psychiatric literature, and cases of alternating personalities or more than two distinct personalities are reported. In some cases even the thin thread of memory, mentioned above, which connects the sub-personalities is non-existent, and one sub-personality can ignore the others. A certain number of cases have been accurately studied; one by Pierre Janet, and William James dealt with this subject in his Principles oj Psychology. Hut the most carefully studied case is that of Miss Beauchamp by Morton Prince. Morton Prince had a most objective mind and his report is photographic, with a bare minimum of interpretation—which is fortunate because it gives us an undistorted picture. The reading of his book, Dissociation of a Personality, is more fascinating and eventful than most novels. It describes die splitting ol the subject’s personality into two, then three, then into four; also the warfare between the personality and a sub-personality (one sub-personality was aware of die behavior of these sub-personalities, and described and interpreted the symbolism). Also, Thigpen and Cleckley in The Three Faces of Eve present a case history of a woman with multiple personalities, and the book was made into a successful motion picture. Such cases, however, are not too common but rarity does not prove anything, as the analogy of the comet shows. Comets despite their rarity have taught astronomers much, not only about comets but about the universe in general. These cases conform to the conception of the self as a projection of a higher Self, because in the case of multiple personality there is a splitting into three or four selves; but the case of Miss Beauchamp shows that the multiplicity is only temporary and that the “selves” can re-unite. 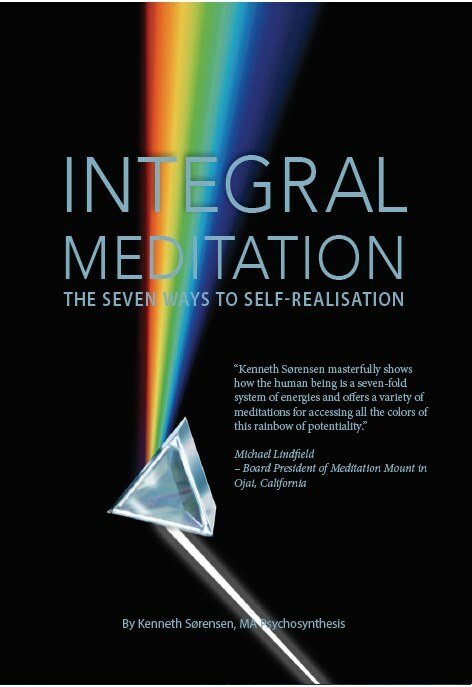 This illustrates the empirical reality of a personal self, while the possibility of re-union confirms the existence of a unique higher Self behind the scenes. 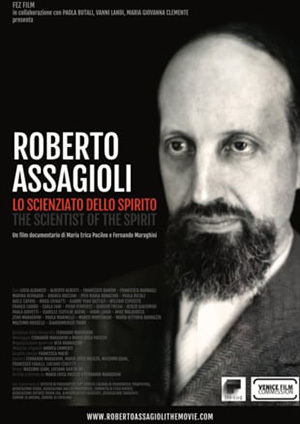 It is our scientific duty to point out the parapsychological aspect of certain of these cases. There are some cases —like that of Yelida, reported by Janet—in which there is no trace of parapsychological elements, and all can be explained by disassociation and later re-association. But in the case of Miss Beauchamp the sub-personality Sally was different from the others. Sally had a power which the others did not have, and she was excluded from the final re-association or synthesis. She agreed with Dr. Prince to retire—one does not know where. “People live their lives seeing everything and everyone through a thick veil of coloured thought patterns and distorted views caused by their emotional reactions, by the effects of psychological traumas from the past, by external influences, and by strong psychological undercurrents, etc. As a result their minds become deformed. Thinking they are using their minds objectively, they are actually influenced by what Bacon called ‘ idols’, by preconceived ideas and suggestion. “Subpersonalities Q. Could you speak of sub-personalities? Assagioli. I think it is good to speak about the sub-personalities because it is an essential technique and not all have a clear idea about them. Sub-personalities can be considered in two ways: In a general way one might say that as the sun reflects itself in countless mirrors, so the Self can reflect itself, not only in the one central personal ego but also in others. It is difficult to realize but each sub-personality that is developed enough enough to have a will, to be consistent, to think, and to feel, is a miniature personality, and has the same qualities of the general personality. A sub-personality is a small personality on its own that would live in rather deep water, There is the priniple of personification, but I will not go into that because it is more theoretical, and I abhor theory. But after all it is not a theory, it is a process of personification. Every psychological element, especially every group of psychological elements, e.g. those that in psychology are called “complexes”, tend to personify themselves. “Let us turn now to the fundamental problem of psychology: the structure of the psyche. Jung has a keen sense of the complexity of the human psyche. To quote his own words “Our psychic nature is of an unimaginable complexity and diversity.” He has pointed out the relative autonomy of the various psychic contents and the existence, often quite incompatible, of different sub-personalities or, as he calls them, personae (in the Latin sense of “masks”). Q: What is the difference between the “I” which can become identified with a subpersonality off center and the center? RA: When the “I” is identified with a subpersonality off center, it is no more at the center; there is no center. The “I” should be… well the disidentified personal “I,” is at the center, but that is the outcome of successful disidentification. Normally, the “I” is identified with something. So the average person is never at the center. When we say self-centered, that means that it is identified with a selfish, ego-centric, subpersonality, but not the pure personal “I,” the pure reflection of the Self. The “I” is a reflection, but it is never a pure reflection at first, it is always colored and pulled left, right, and downward by subpersonalities. Q: If the Self is always there, is not the center always there, even if we are not at center? RA: No! Not at all! You see, the personal “I” goes here and here and here, is never at the center. Except during disidentification. Q: So, there is a distinction to be made between the “I” which becomes identified and the center which is disidentified? RA: No! No difference! When the “I” is disidentified, then it remains there [center], and so the communication [with Self] is easier and stronger. First it [“I”] has to free itself from all identification and coloring, then when it has achieved some measure of disidentification, the pull of the Self is stronger than the pull of the subpersonalities. The existential crisis is that there are all these pulls. These are all subpersonalities who try to pull to themselves—and often succeed—the “I.” And meanwhile the pull of the Self is negligible, then it becomes stronger and stronger, and finally it may win. Q: So the center is something created by the “I”? RA: But, no. There is no center in the sense you say; the center is a locality, not something existent. What you call the center is the “I,” but temporarily it is eccentric. Center is a geometric; just as in a circle there is a center, a locality, a point in space, not a living entity. The living entity is the “I.” [What is] much confused is the locality with the living creature, the living being. When you say “I am angry,” then this goes here [“I” to lower unconscious]. When you say “I love you” in a personal way, it goes here [“I” to middle unconscious]. When you have a transpersonal experience, it goes here [“I” to higher unconscious]. So it shifts all the time. That is what creates the confusion and the conflict. These are all localities in the inner space, and the entity [ “I”] moves around. All the questions of subpersonalities can be faced this way. And that is the value of recognizing subpersonalities; it is the beginning of detachment. Q: It makes sense that the “I” is a reflection of the Self, is a living entity and thus is distinct from any “locality” within the psyche. The “center” is a conception and a locality? RA: Yes. That’s basic. In psychosynthesis we always speak of living realities, living beings. All the rest is conceptual, not reality, as something existent. The rest is description, but the “I” is a reality. Q: So the “I” is still a reflection of the Self, even if it’s in the lower unconscious? RA: Yes, but colored. It is the bulb, colored and shifted here and there. It can be covered by several veils, the veils of maya. It is there, but it is paralyzed, powerless, ignorant, unconscious. In Eastern terminology, disidentification would be to tear off the veils of maya in order to discover, uncover, what is under there. Q: The Self is the light bulb; the center is a place where the light is most clearly seen by the “I”? RA: No. The “I” is the light bulb, the reflection. Don’t take all this too literally. The Self is a resplendent sun, a star, which creates the reflection which is a bulb. Then the bulb often gets colored, veiled, shifted here and there. It is the “I” that is the bulb. Q: What are the characteristics of the place called “center”? RA: No characteristics. It’s just a location. It is the place which is in the same direction as the Self. Q: We are also talking about alignment – the “I” or bulb, if off, is colored; if not, then it is clear? “Then there are the emotional and mental illusions, which concern us more closely, conditioning our life and continuously producing errors of evaluation and conduct, and sufferings of every kind. In this field also, modern psychological science has reached the same conclusions as the ancient wisdom, that is, that man sees every thing and every being through a thick veil of colouring and distortions deriving from his emotional reactions, the effect of past psychic traumas, external influences, etc. The effects of this are mental illusions which lead him to believe that he is thinking objectively, while instead he is being affected by what Bacon called “idols,” by preconceptions and by collective influences. “A realistic observation of the flow of the psychological life in ourselves and in others shows clearly the existence of a number of differing and conflicting tendencies, which at times constitute the nuclei of semi-independent sub-personalities. Both psychoanalysis and the picture of human beings given by great novelists who were good intuitive psychologists point up these basic conflicts inherent in human nature. The recognition that different drives and the various psychological functions are interrelated and interacting does not mean that they are integrated in a harmoniously functioning organism as are the biological functions in a healthy body. Even conflict constitutes a relation; and two armies fighting each other surely interact powerfully. One kind of conflict which occurs frequently is that evidenced by ambivalence, and it explains many curious, contradictory manifestations of human beings. Another basic conflict is that between inertia, laziness, tendency to preservation, craving for security (which expresses itself in conformity) on the one hand, and the tendency towards growth, self-assertion and adventure on the other. Still another source of conflict is that of the awakening of new drives or needs which oppose pre-existing ones; this occurs on two chief occasions: first, the tumultuous awakening of new tendencies at the time of adolescence, and second, the awakening of religious aspirations and new spiritual interests, particularly in middle age. It is this last type of conflict which is the primary concern of this chapter. “7. Ideas, images, emotions, feelings and drives combine and group themselves, forming “psychological complexes“. 8. Psychological complexes find and use—without our awareness, independent of, or even against, our will—the means of achieving their aims. “The use of affirmations demands special caution. One should make sure, at this stage, to have checked that his predominant motive is right, good, and harmless. “Because of the multiplicity of human nature, of the existence in us of various and often conflicting subpersonalities, joy at some level can coexist with suffering at other levels. For instance, there can be the joy of mastering an unruly subpersonality, although the subpersonality itself may experience this as painful. Also a vivid anticipation of a future willed achievement or satisfaction can give joy even while one feels pain. Saint Francis said, “So great is the Good that I am expecting that every pain to me is joyous.” At a less exalted level, this is true of athletes and particularly of mountain climbers, to whom the joyous prospect of the “intended” willed achievement outweighs the physical hardships and suffering involved. 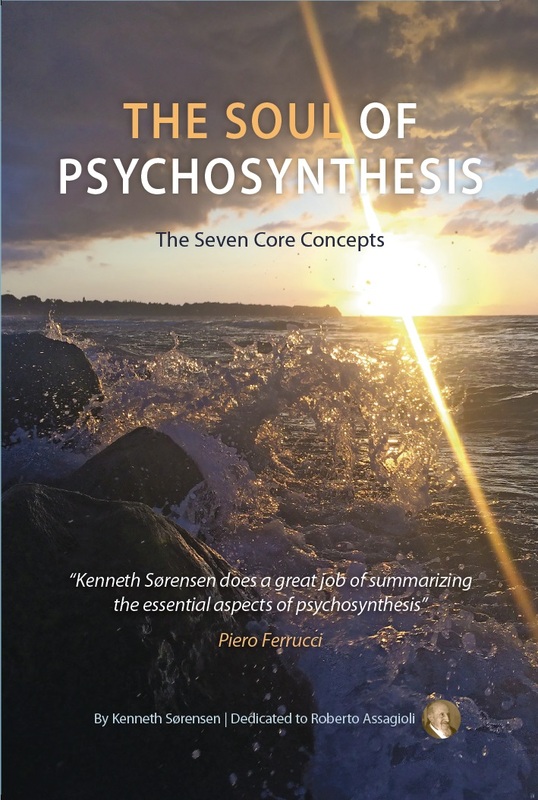 “Why is psychosynthesis necessary? Because all of us have within ourselves different and contrasting psychological elements which alternate and collide. They often reach such a degree of forcefulness as to form separate personalities or subpersonalities which struggle for supremacy within us. This results in a number of contradictions, conflicts, turmoil’s and upheavals, which may produce serious nervous difficulties, and often gives the individual a painful and growing sensation of dissatisfaction, instability and disharmony. The origin of various personality traits. The recognition of existing complexes. There are complexes of which the patient is often painfully aware. The recognition of polarities, ambivalences and conflicts. The recognition of the various “selves”; this in the sense given to them by William James. We may call them sub-personalities. This reminds us particularly of certain statements of Paul Tournier who in his book The Meaning of Persons emphasized the essential difference between the inner “Person” and the various “Personages” which this inner “Person” plays under the differing circumstances of life. However, we make a further distinction between the “person” as described by Tournier, and the pure self-identification. There are, in a sense, three different self- identifications: one with the “Personages,” a second with the “Person,” and the third a point of pure self-awareness. “Each fundamental tendency is actually an autonomous entity and its combinations and various transformations create in every man a kind of animal kingdom whose riches is no less than that of the real one. “RA quoting Keyserling. Self-Images is another category of subpersonalities. P.8 ala What we believe ourselves to be. Inferiority complex is not an entity in itself. It is the product the effect, the consequence, of believing ourselves to be inferior. A lot of information on the different self-images in this article. The respective proportions and mutual relationship between spontaneous creation and conscious activity can be varied and complex. There is sometimes a conscious, almost hallucinatory, splitting of the mind. If one thinks of the references Dickens made in his letters to the independent personality, for want of a better term, of his characters and compare these references with other facts known to us, we must consider them authentic. Mrs Camp, his greatest creation, would ‘speak’ to him, as he affirmed, usually when he was in church, and in a voice taking the form of an inner prompting. The French playwright Francois de Curel carried out a careful analysis of his method or, more appropriately, of his experiences when working. Fie begins by tackling his subject in the normal way, perhaps with more difficulty and less confidence than other writers. But then he notices certain characters coming to life in his mind and speaking to him, just as Mrs Camp spoke to Dickens. These characters are not exactly visible, but they move around him as though on a stage, be it in a house or a garden, and he ‘sees’ this in a vague fashion, as though in a dream. From this point on he is no longer composing or creating; he is simply carrying out a literary review. The characters speak, act of their own will, and even when the writer is interrupted or when he is sleeping, the drama develops spontaneously in his mind. When he is distracted and not thinking of his work, he often becomes aware of snatches of conversation or phrases forming parts of scenes he has not yet reached. This means that the subliminal development – or the subconscious mind’s processing – of the drama has moved on from and anticipated what comes after the point at which the conscious mind stopped working. In these small splits within one personality de Curel sees a type of bud, a source of growth within the primitive personality, which the latter gradually reabsorbs, though not without a struggle, as soon as the play is finished. This is a distinct manifestation of the subpersonalities existing within each of us. Luigi Pirandello, that gifted, restless analyst of dissociation and of psychological complexities, made similar statements and posed this very problem in his first play, Six Characters in Search of an Author.